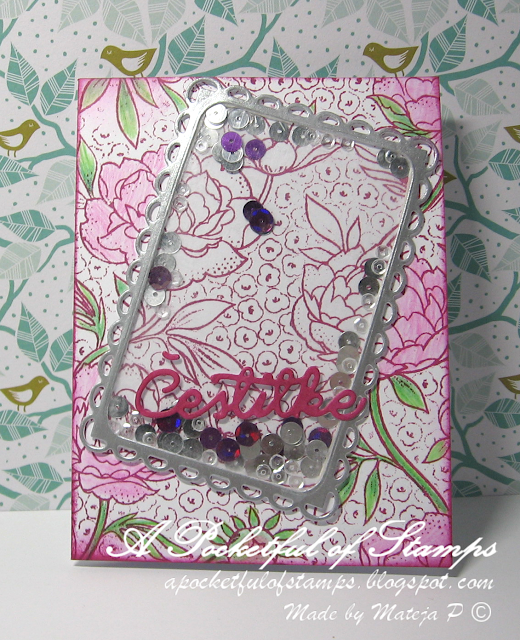 A Pocketful of Stamps: Shake It! I made a shaker card today using Hero Arts background stamp and ink. Sentiment says congratulation. There is an Interactive challenge going on over at A Blog Named Hero and you still have time to participate. Danes pa sem naredila tresočko s Hero Arts štampiljko za ozadje in blazinico. Na A Blog Named Hero poteka ta mesec Interaktivni izziv, tako da imate še vedno čas, da se pridružite.